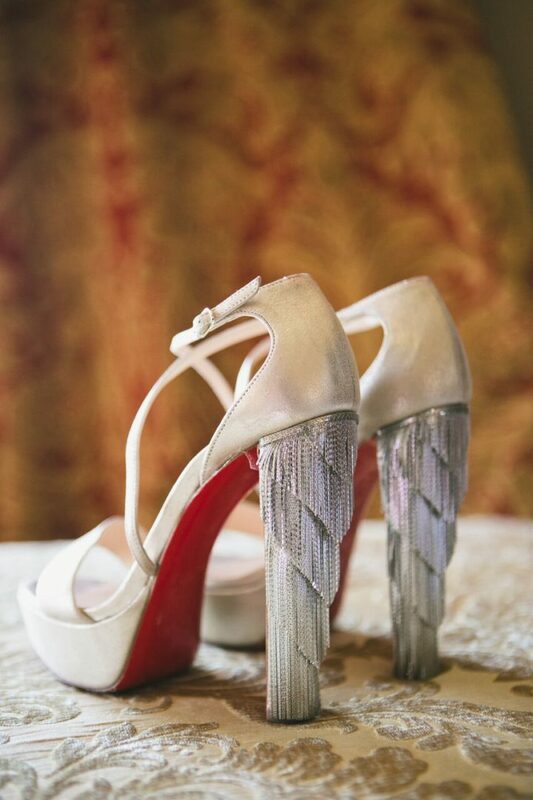 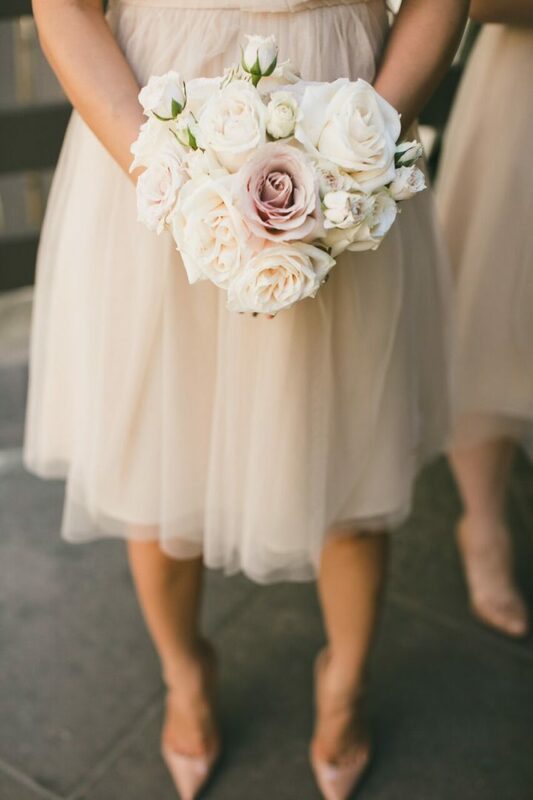 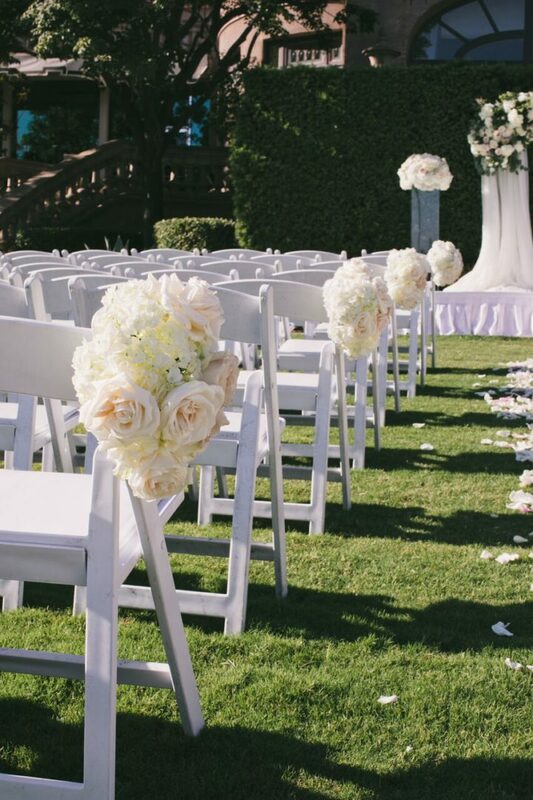 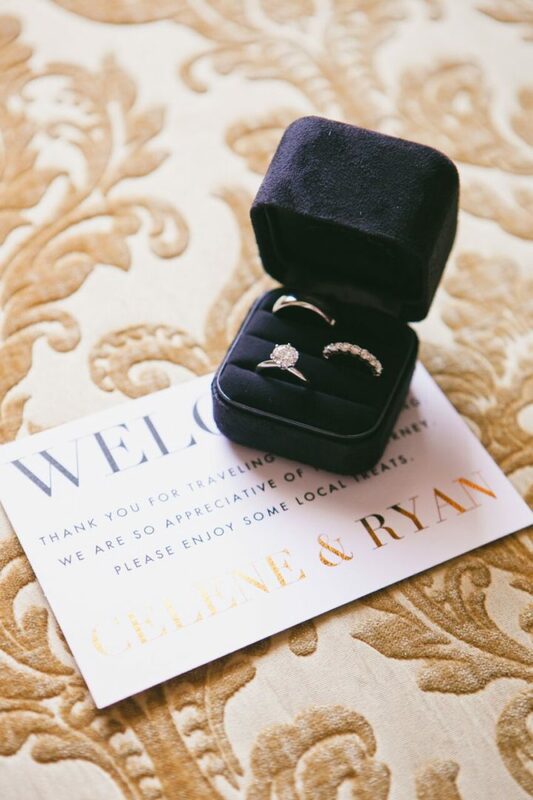 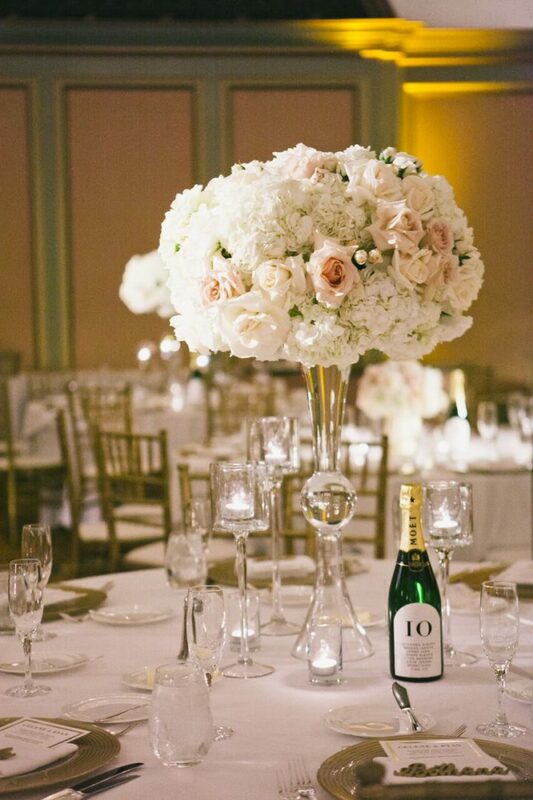 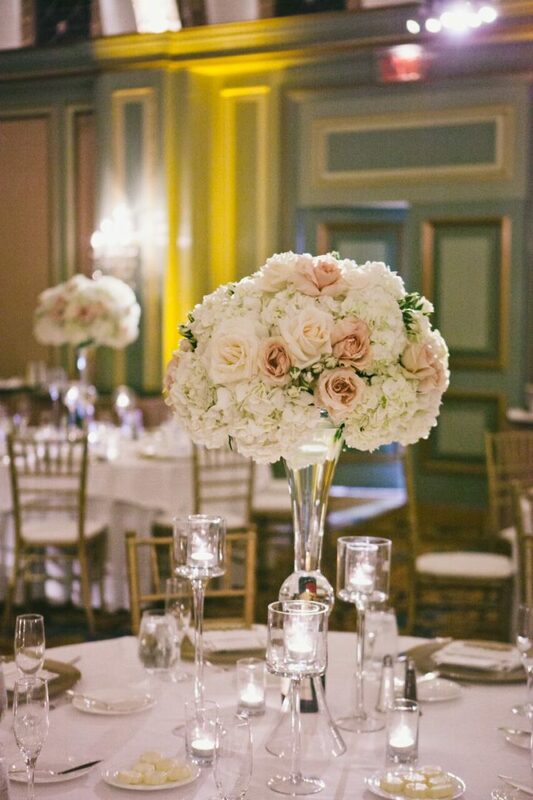 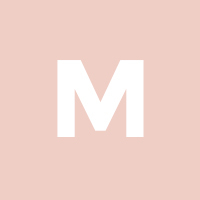 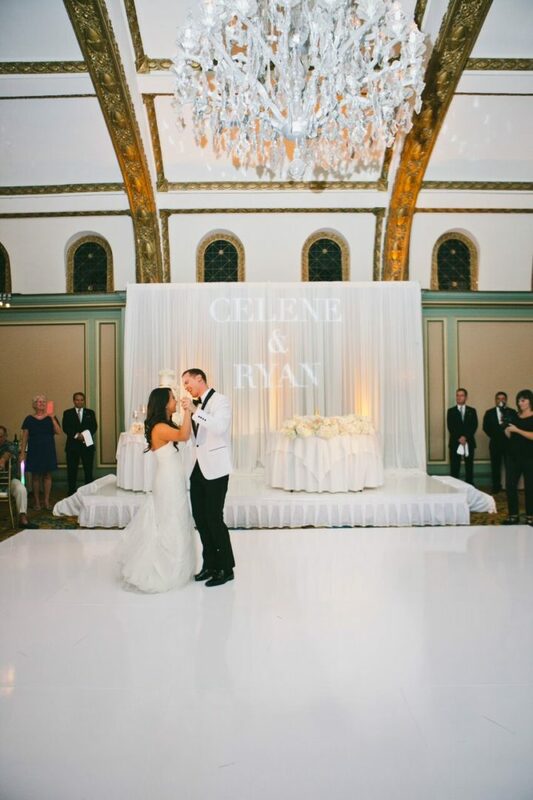 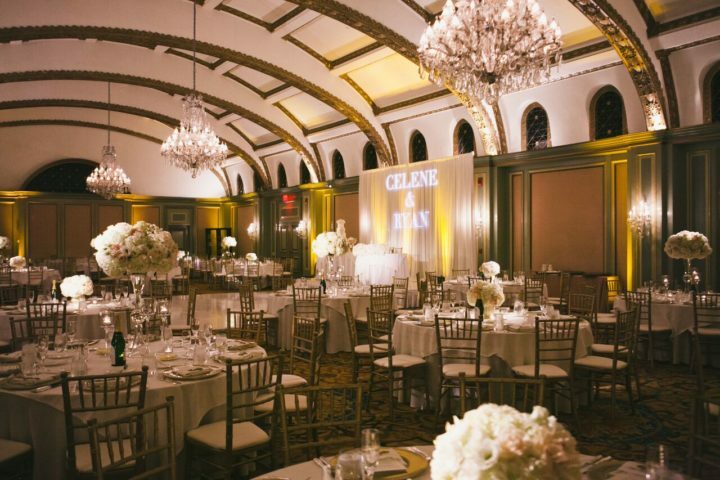 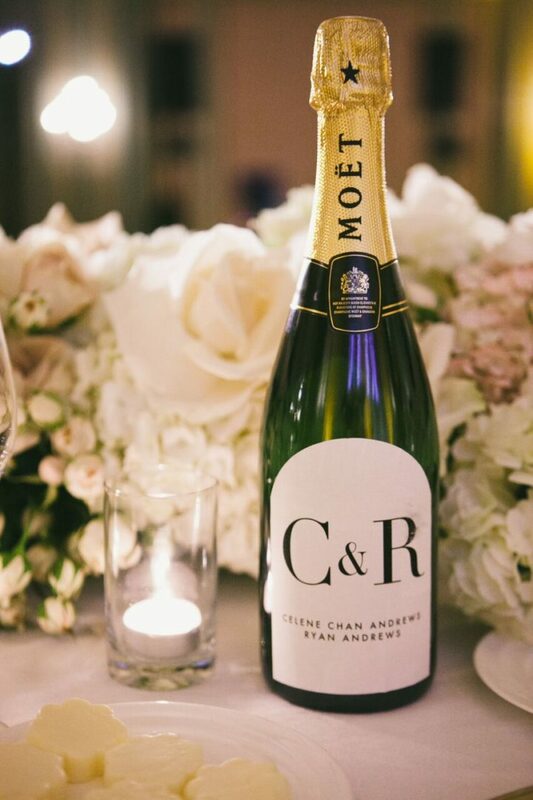 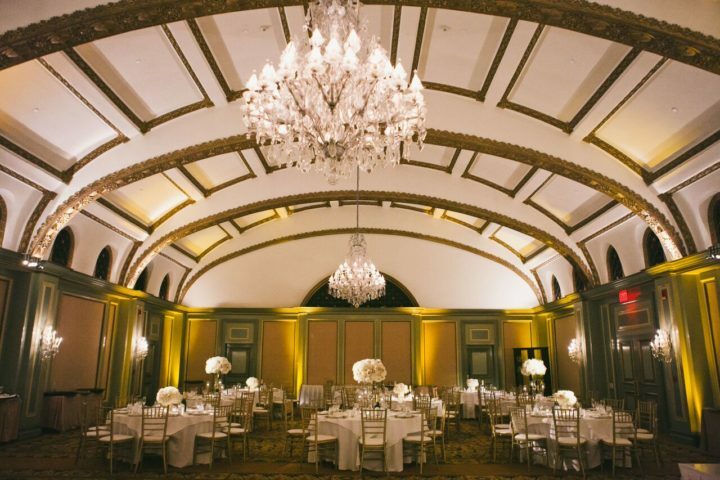 This classic white California wedding is something to see! 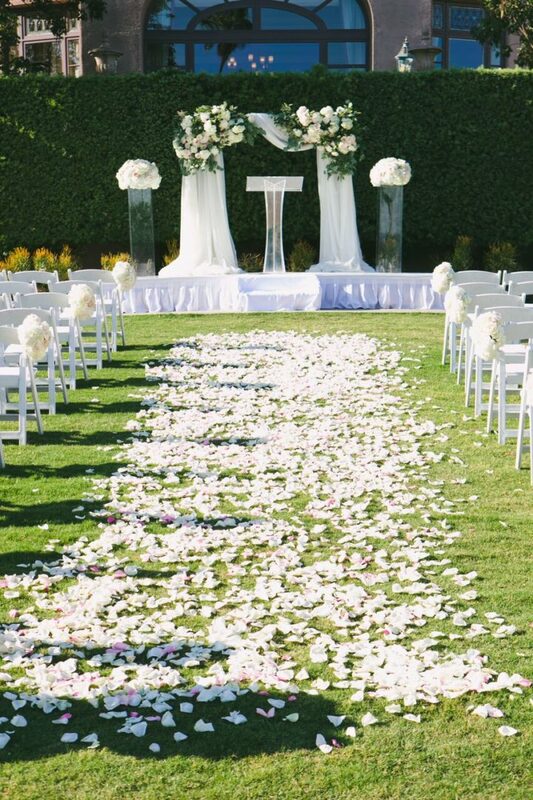 The talented onelove photography captured this September celebration at the luxurious Langham Hotel in Huntington, with a completely stunning ceremony at The Horseshoe Garden, featuring a dreamy petal lined aisle and a romantic backdrop made of lush greenery. 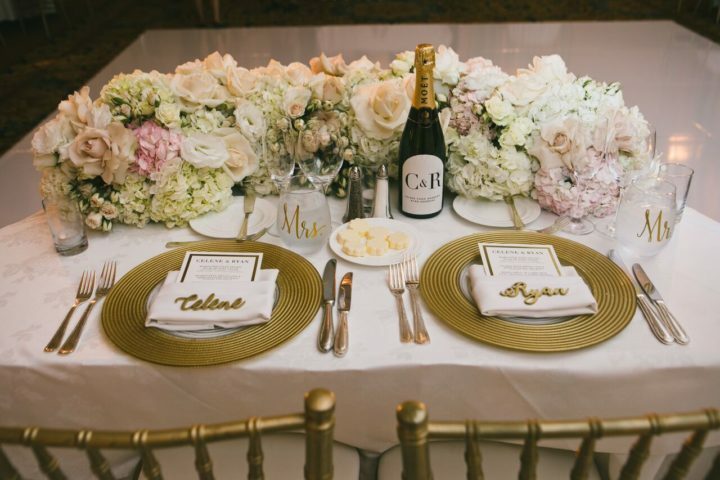 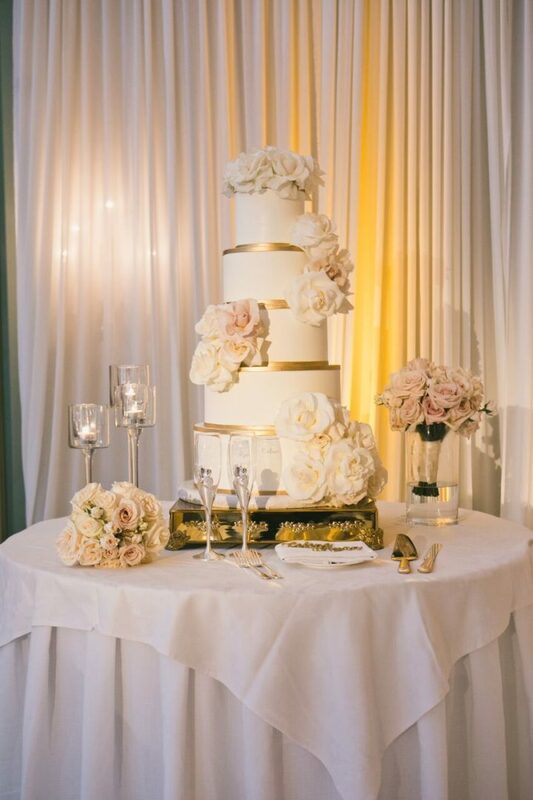 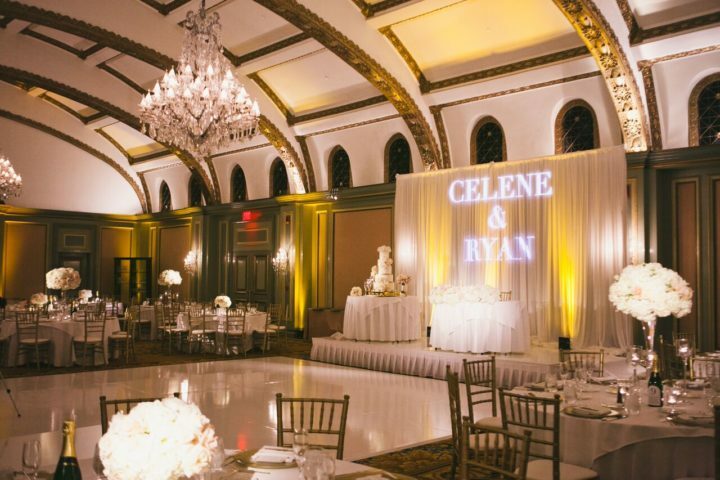 The modestly glamorous reception was timeless and chic with lovely gold accents and blush flowers mixed in with the white. 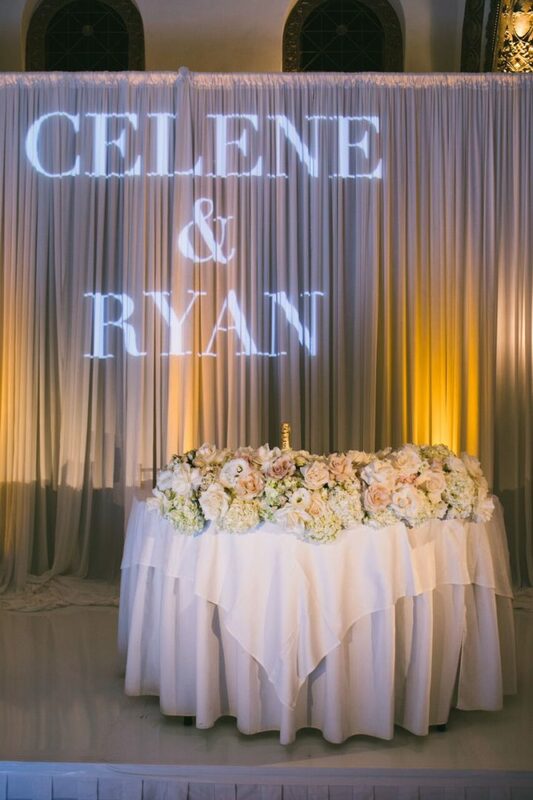 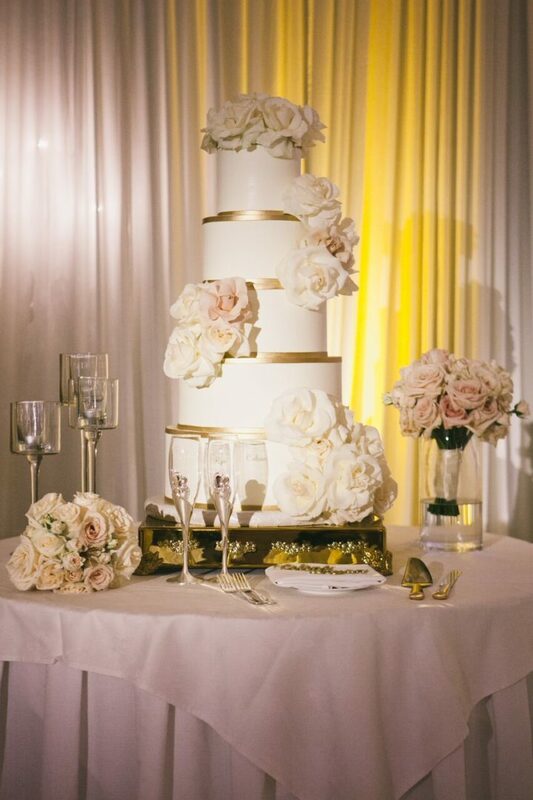 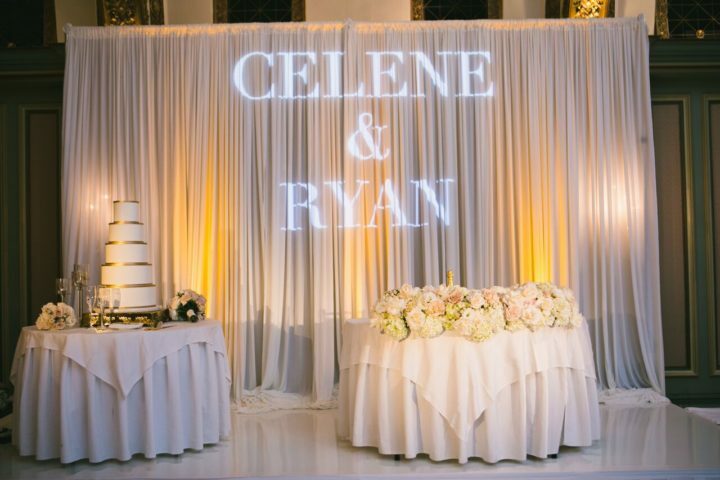 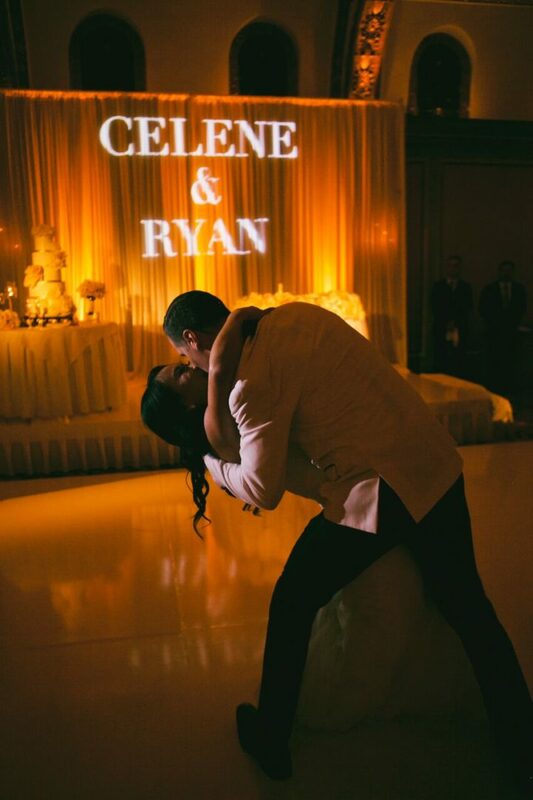 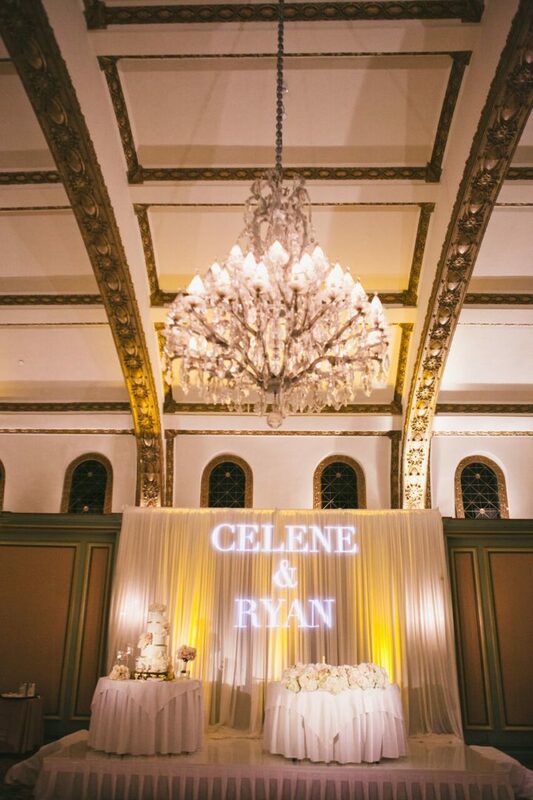 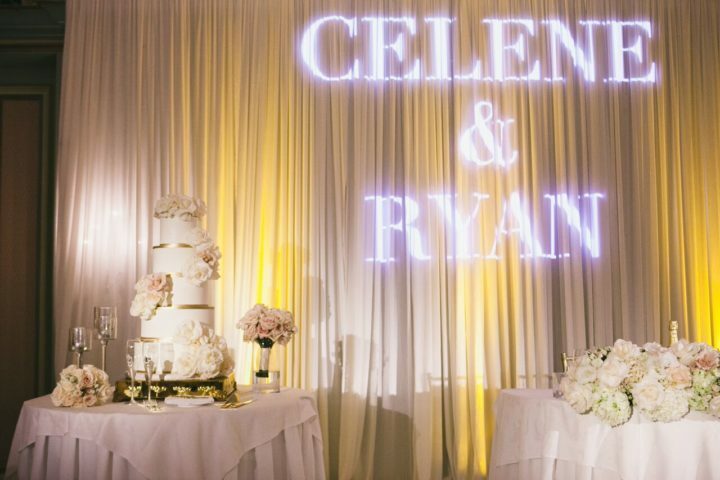 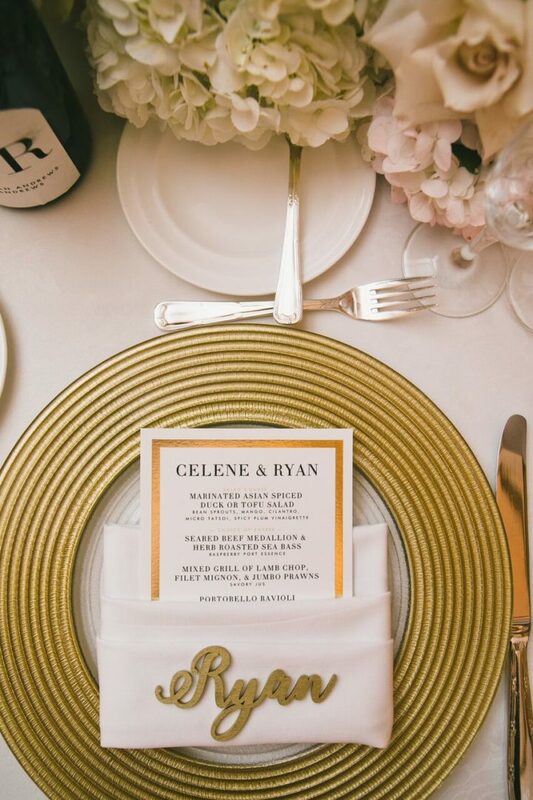 From the unique guest place cards to the five tier white wedding cake, this gorgeous California wedding exuded classic touches of elegance! 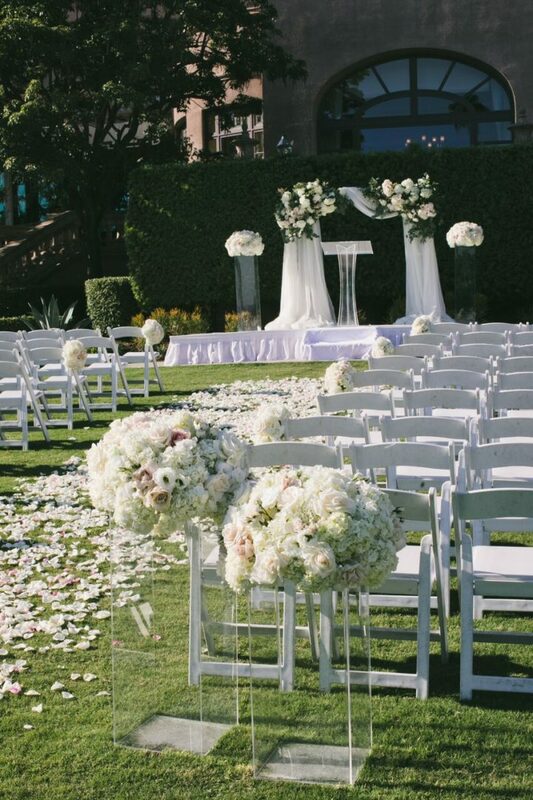 See the beautiful day below!